Hamachi Kita Sushi and Asian Flare offers diners a concept which combines Halifax’s favorite sushi and dishes with other Asian influence. In addition to the Hamachi Classics we are proud to showcase items such as; Thai BBQ chicken, Pad Thai and Thai curries. we have a healthy and creative dishes which include vegetarian options like the stir fried seeds and vegetables. We also have a full selection of Teri Yaki, rice and noodle entrees and appetizers, not to mention Halifax’s best Tempura, a house favorite! All this in an elegant and serene setting in the Hydrostone market in the north end of Halifax. 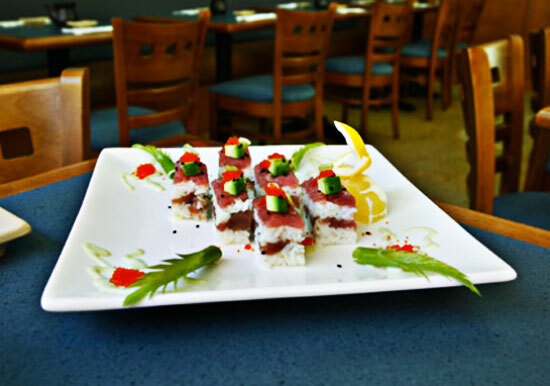 Already receiving rave reviews This addition to the Hamachi family is a must visit. Eat in, take out or delivery – Experience it!